Today's conversations around Big Data continue to grow. With the ever expanding availability of Business Intelligence programs we are dared to leverage that data more and more every day. It is time we free the data from our software, models and drawings. Tracking status and completion of items across project documents, models and systems has previously been difficult, but no longer. Join us as we explore real examples of using project data from multiple sources to track performance and make corrective action based on simple analytics dashboards. You will learn to ask better questions from your data in order to get the most out of it. When you leave this session you will know why Business Intelligence is "En Vogue". 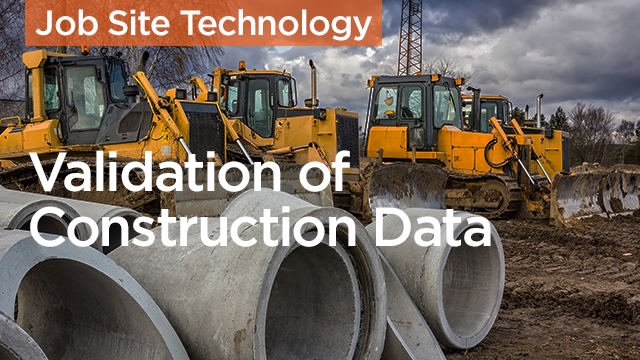 Understand the importance of properly recording and analyzing construction data. Learn how to extract useful data from your software, models, and drawings. Become familiar with the popular business intelligence tools that can help you manage project data. Learn ways to effectively manage technology integrations across departments. This course has been approved by these organizations and associations. Procore's Continuing Education courses may fulfill state licensing requirements. When a course is completed, a certificate of completion is provided. It is up to the construction professional to submit their certificates of completion to their state licensing board to request credit for participating in a Procore Continuing Education course.